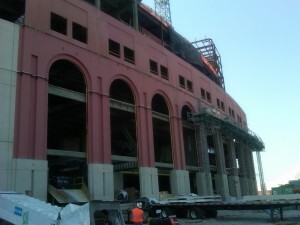 In 2012, the University of Nebraska – Lincoln had announced 55.5 million dollar expansion to the east side of Memorial Stadium. ARID Resources was awarded the air barriers and waterproofing on the new expanded 3,000 seat section of the stadium. ARID Resources installed the air barriers on the outside of the stadium giving it a red facade for a couple months.